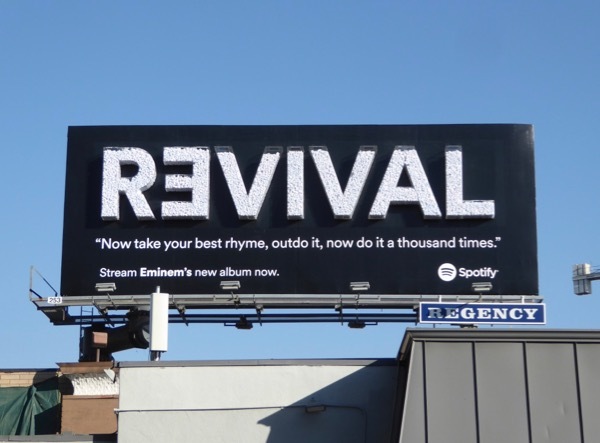 On December 15 rap icon Eminem dropped his ninth studio album, Revival, which features new songs like 'Walk on Water', 'River', 'Like Home', 'Bad Husband', 'Tragic Endings' and 'Need Me' and collaborations with artists like Beyoncé, Ed Sheeran, Alice Keys, X Ambassadors, Skylar Grey and Pink. 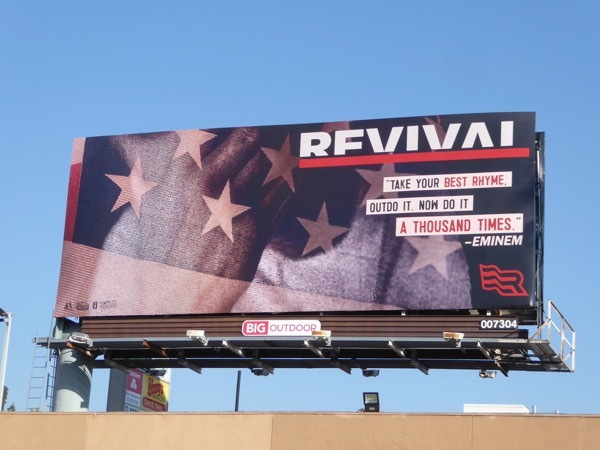 Known for his dislike of Donald Trump, the patriotic album artwork and these billboards interestingly feature the American flag. 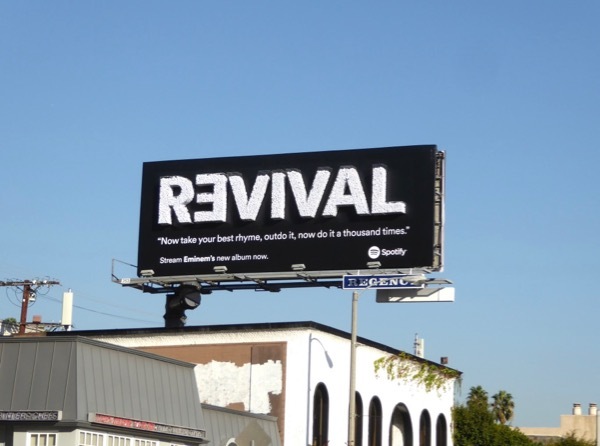 All these Revival album billboards were spotted in multiple locations along L.A.'s Sunset Boulevard on December 19, 2017. 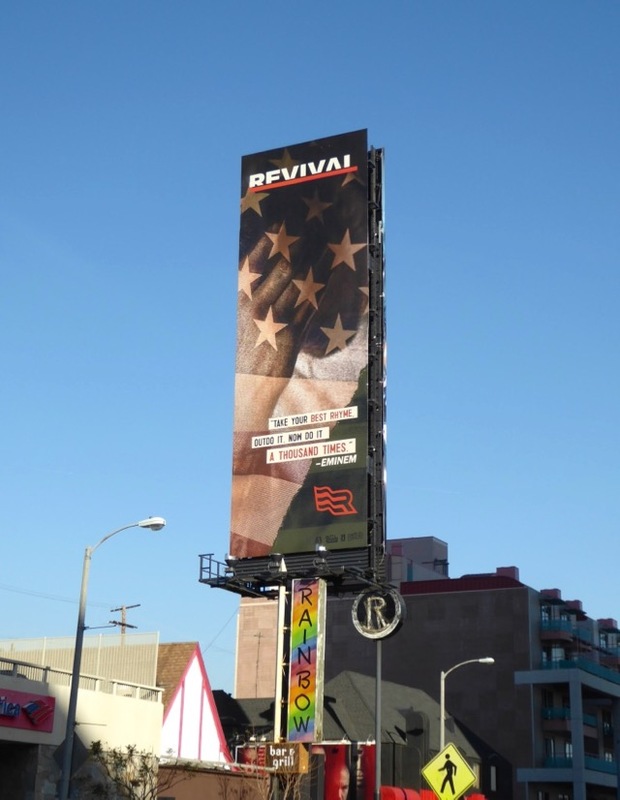 The bold special installation billboard especially stands out along the rocking Sunset Strip with its 3D relief transparent lettering filled with what looks like white packing peanuts. 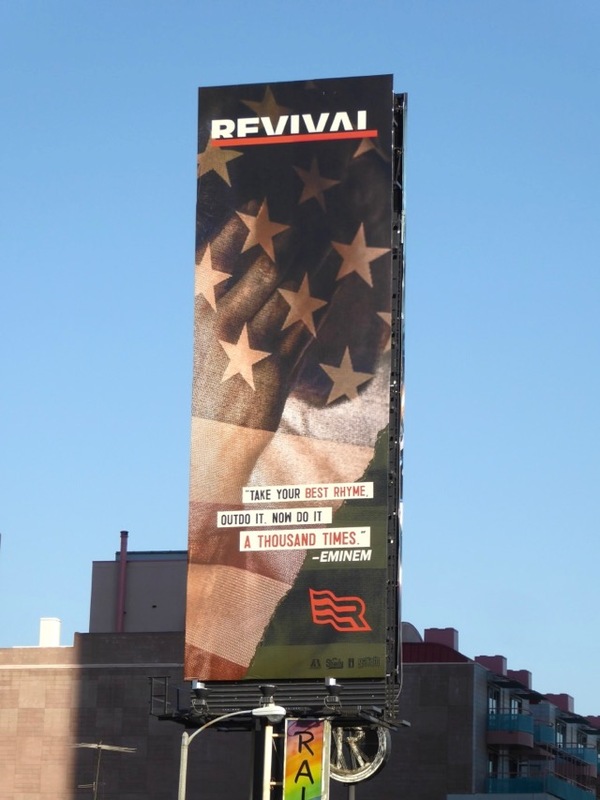 Fans of Eminem can also check out this giant billboard for The Monster Tour with Rihanna from 2014, plus the movie costume he wore in 8 Mile on display. 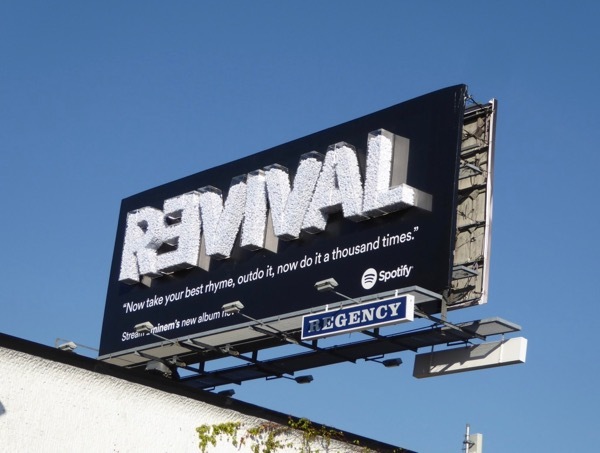 In addition for another recent cool gimmick outdoor ad from Spotify, be sure to enjoy these festive 3D bow billboards for Sia's Everyday is Christmas album. 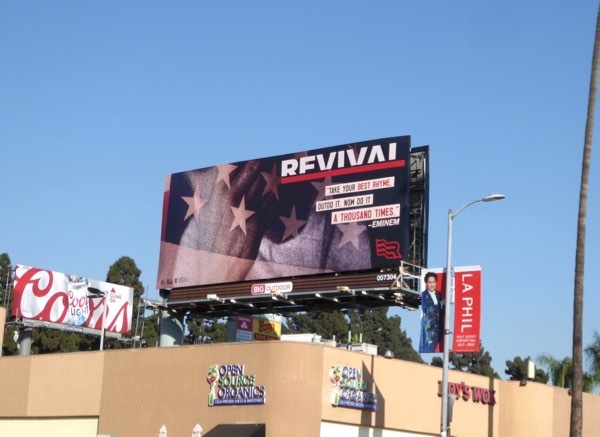 In these days of ever-changing technology you can stream this new album or download at the click of a button, but if you're an old fashioned person who likes the physical CD, maybe Revival can also be the perfect stocking filler this Christmastime.